Kidnappers abducted the child from the playground. The company director was abducted from his car by terrorists. He was abducted at gunpoint. Someone snatched my bag on the train. He snatched the phone from my hand. She snatched the parcel and tore into it. A newborn baby was snatched from a hospital ward. The six-year-old girl was snatched from a playground and her body was found two days later. Police arrested three suspected terrorists. The suspected drug dealer was taken in for questioning. He was sentenced to four months’ imprisonment for possession of cocaine. She was sentenced to five years’ imprisonment. 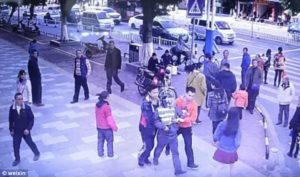 A man in China saved his son who had been abducted after bumping into the boy at a shopping mall. 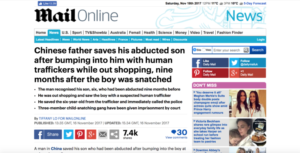 The six-year-old had been taken nine months before and was accompanied by three suspected human traffickers when his father saw him. The father called the police who arrived to arrest the gang. Local People’s Court has given the three suspects six, three and two years of imprisonment respectively. George and Kenneth were married in 1980 and 1985, respectively. Walsh and O’Neill were jailed for 12 and 11 years respectively. 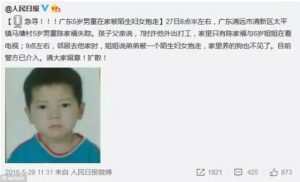 The boy, named Cheng Jiafu, was abducted in May 27, 2016, at the Matang Village in Qingyuan, Guangdong, according to a post by People’s Daily. The child’s father, Chen Zhonghong, claimed that he had to work that day, so he left little Jiafu and his elder sister at home to watch TV by themselves. Apparently, two hours after Mr Chen left home, a neighbour visited Mr Chen’s home, and Jiafu’s sister told the neighbour that her brother had been taken by a stranger. Apparently it’s going to rain today. The computer trouble was apparently caused by a programming error. According to Qingxin News, Chen Zhouhong bumped into his son and three suspected human traffickers while walking in a shopping mall, called Qingxin Town Plaza, on February 21, 2017. After recognising the child, he snatched him and called the police from the scene. Officers quickly arrived to arrest the trio, who were known by their surnames, Chen, Li and Ou. The Qingxin People’s Court held a trial on November 10. The judge, Hou Zhaoxing, believed Mr Ou had intended to sell children, including Jiafu, to other families. 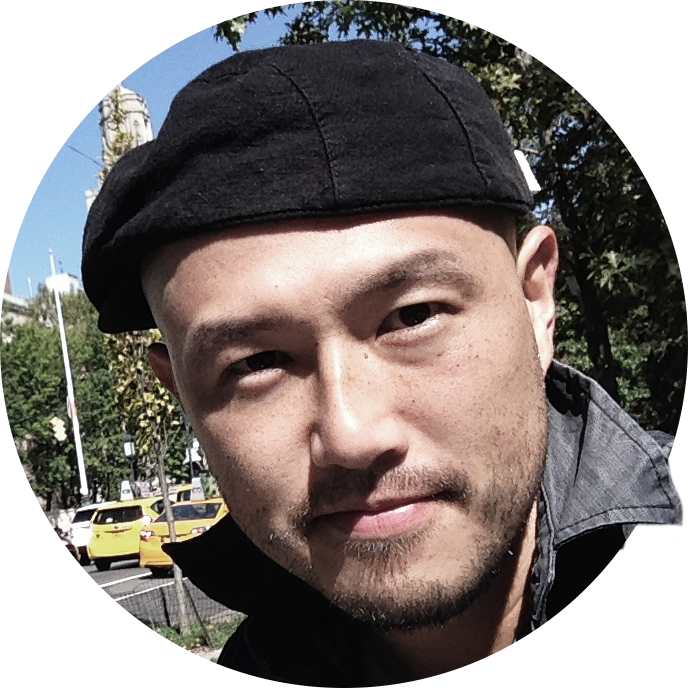 Mr Ou received a 10,000 yuan (£1,143) fine and six-year imprisonment. Ms Li and Mr Chen were given three-year and two-year imprisonment respectively for child abduction, according to the judge. There has been a series of abductions of young children from schools in the area. He was charged with abduction.